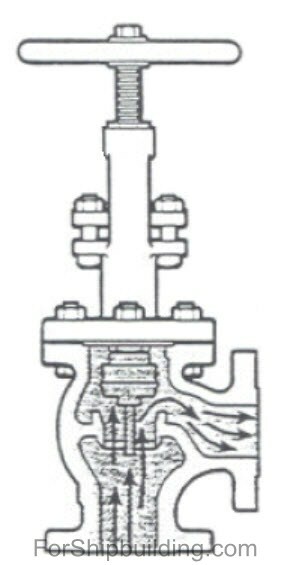 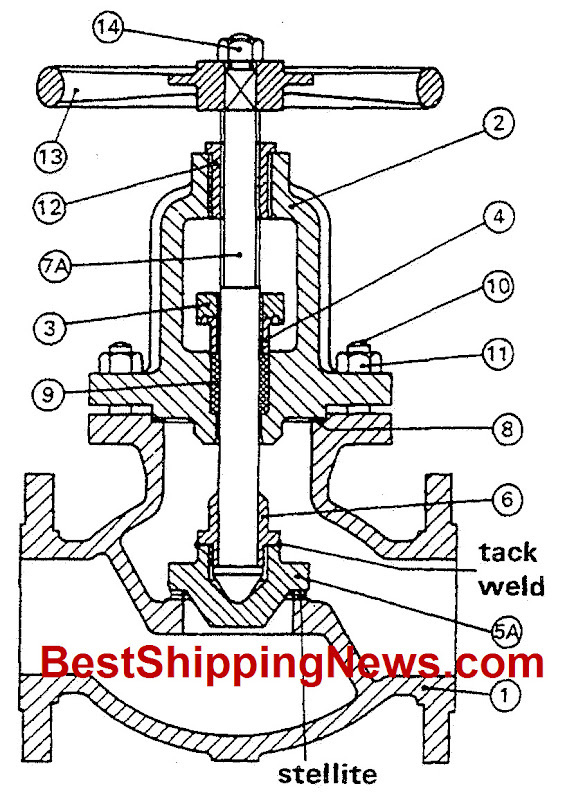 1) when the disc is not attached to the spindle, the globe valve is considered to be a screw-down nonreturn valve (SDNR). 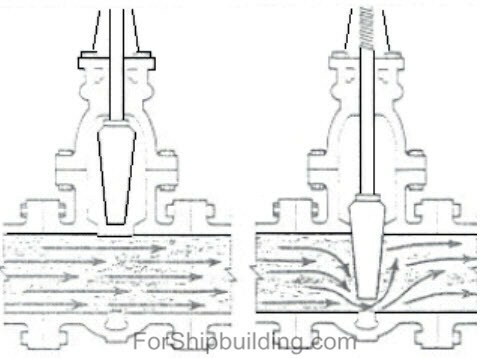 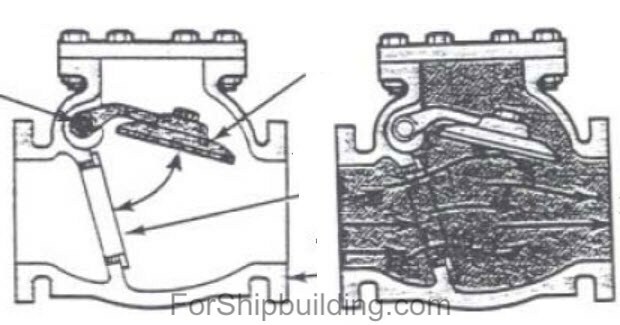 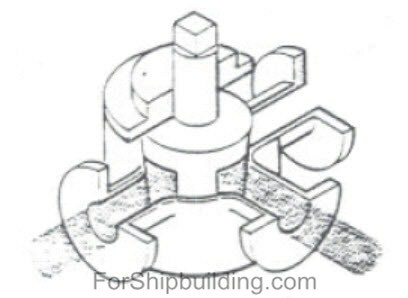 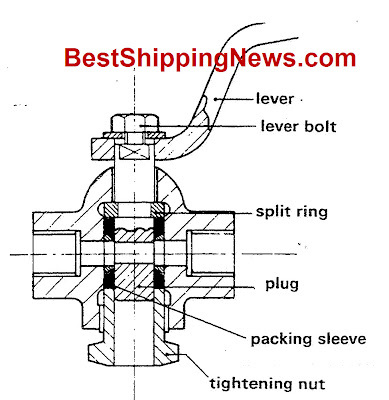 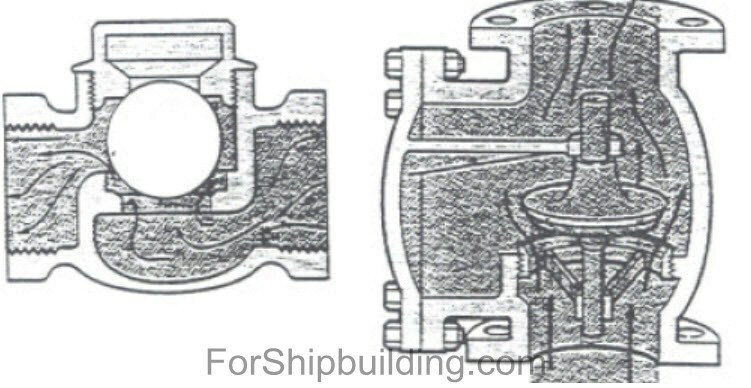 2) without a stem to screw down the flow interrupting component, the non-return valve is of the freelifting type. 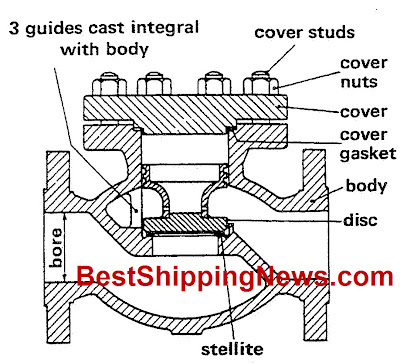 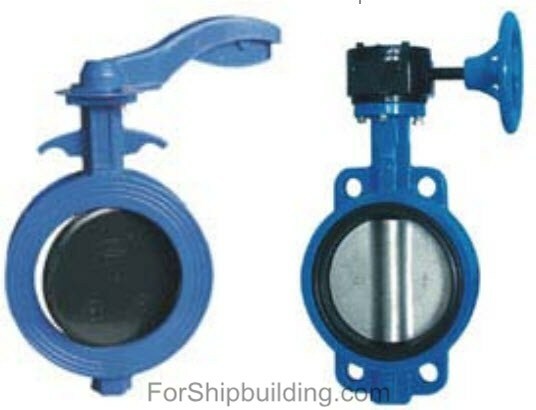 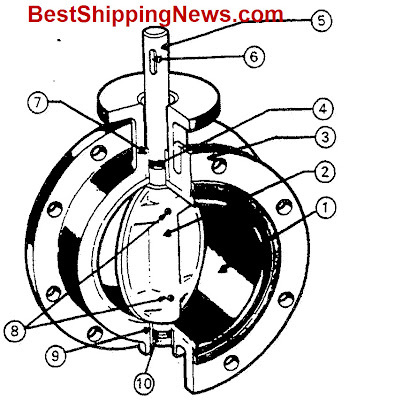 relief valve, safety valve, sea suction valve etc. 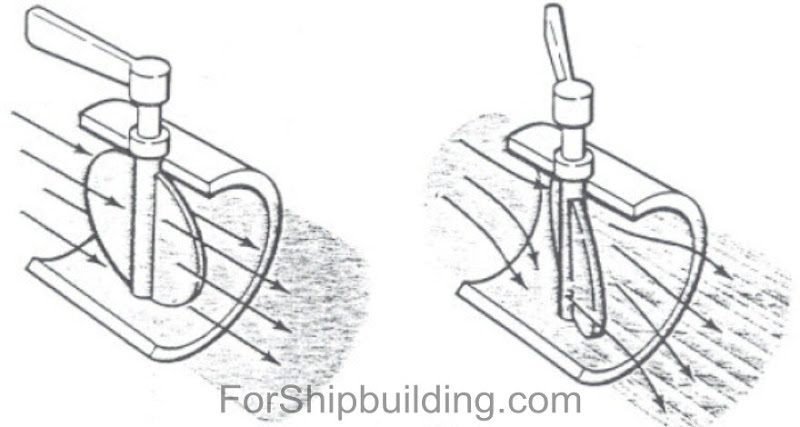 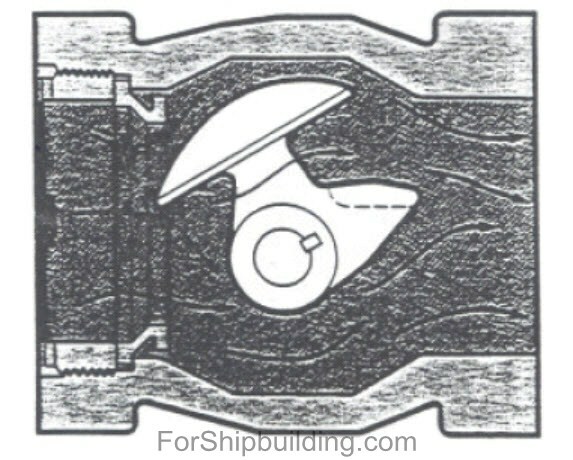 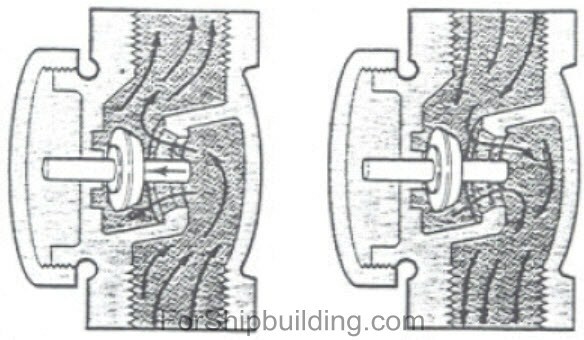 closing by interposing a flat or tapered element (gate or wedge) transversely across the axis of the opening. 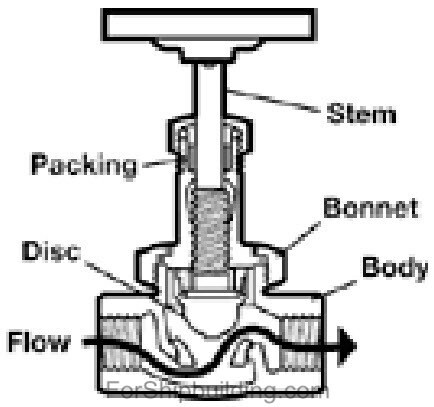 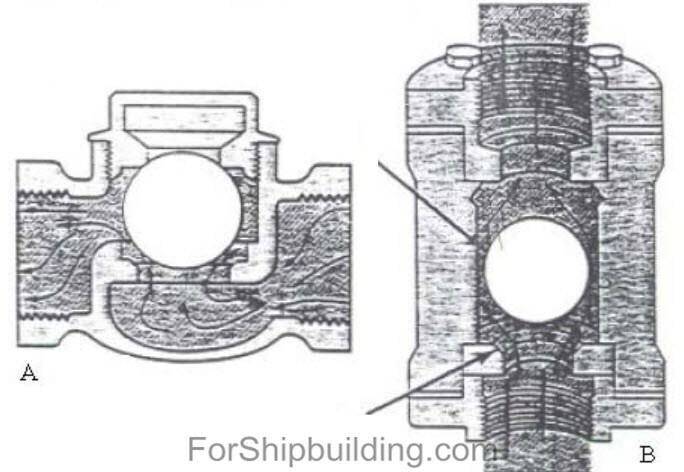 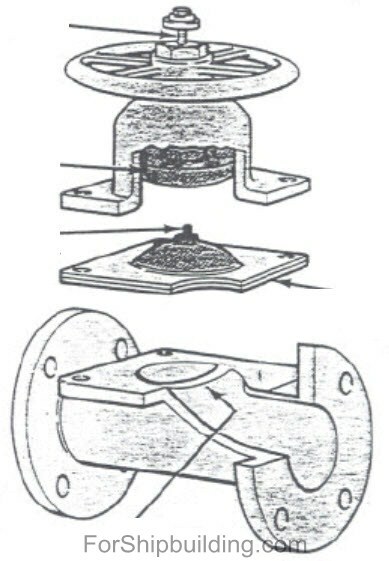 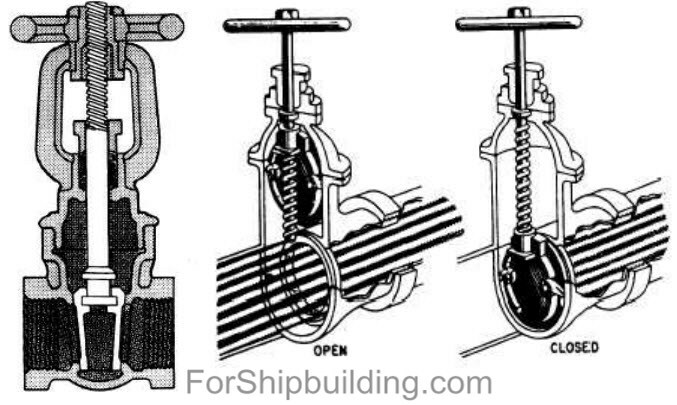 closing by pressing a disc or plug axially against the opening.